Compared with those capital cities or other large and medium-size cities in China, Jinan has few advantages and lacks a metropolitan atmosphere, the highlight being its numerous springs. Some people say Jinan's glamour is not merely its enticing natural beauty, but more the warmth of the local people. The beauty of nature is thin and weak, but the beauty that comes from people will last forever. The city is hospitable and receives visitors from all over the world. Marco Polo once visited it and left words of praise to this city. The Baotu Spring, Daming Lake and the Thousand Buddha Mountain decorate the city as a beautiful garden. Pure in quality and mellow in taste, the water is ideal for drinking and making tea. Tea tasting is a favorite past time here. 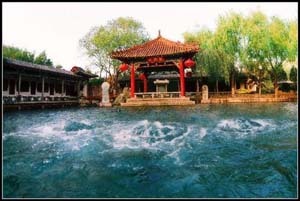 There is a saying here that you will spoil your Jinan tour if you do not drink the tea brewed with Baotu Spring water. To the east of the spring is the famous Wangheting Teahouse, where you can recreate the moment when past Emperors sat there, tasting tea and enjoying the beautiful scenic delights of Baotu Spring. 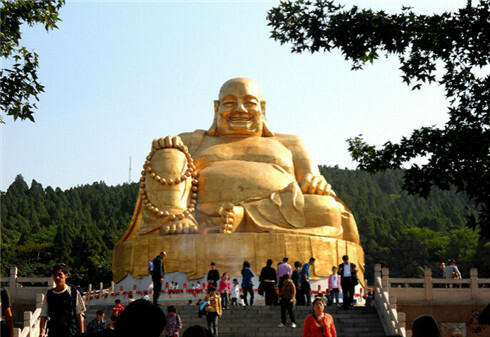 The Park of Thousand-Buddha Mountain was listed as one of the Seven Beauty Spots of Shandong Province in1995. Great efforts have been made to add many scenic spots such as water pull, gardens and ropeways, etc. in recent years. 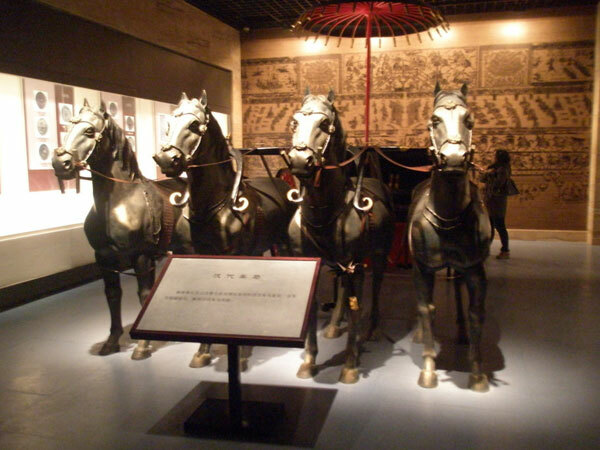 In the Shandong History and Culture Display Area, a bronze tomahawk with an inscription of the Shang Dynasty is a treasure of the museum. The unique collection of pottery dating from the Dawenkou and Longshan cultural eras is the only one in the country. A gold belt fastener inlaid with 33 precious stones in various colors and a spectacular set of 397 wooden horse figures in a guard of honor is sure to catch your eyes.